I have many reasons to feel grateful despite MPS: the uncomplicated smile of delight on Pudding’s face when he sees someone he likes; his deep chuckle when something catches his fancy on TV; the love given to him by his older brother despite being hit frequently; occasional sunny days; trips out. One thing I haven’t mentioned lately though is the many people who have shown us love and support over the last year. Family and friends have been wonderful. Even though I rarely ask for help (apart from Sister – I ask her ALL the time) I do appreciate that people have offered and looked after Twiglet when we’re off at appointments. Then there’s all the fabulous fundraising that has been done for the MPS Society. A friend did a 10k recently. Hubby’s brother-in-law and niece are in the Great North Run soon. A team from Hubby’s work have entered a soap-box challenge. 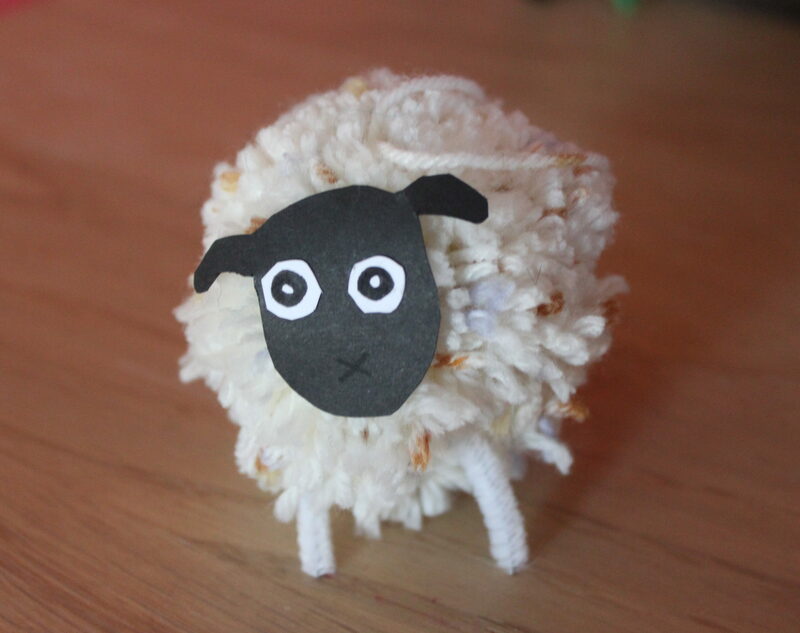 Even Niece has started making pom-pom animals and wants to sell them to raise money. Whether it’s small amounts or large, I appreciate them all. This is money that can be used to keep someone on the end of the phone line to support newly diagnosed families and help them through the minefields of form-filling, money that can be put towards finding new treatments and possibly cures for MPS. So thank you. From the bottom of my heart, I thank you all. When Pudding was first diagnosed with MPS I thought I’d never be able to smile again. If you are told that your child has a life-limiting illness it is like your whole world has just ended and nothing will ever be the same. Other parents told me that the first year was the worst, and I wanted to believe them but couldn’t quite. How could I ever come to accept this.. this awful reality? The weekly ERT infusions, the operations, the news about damage to airways and heart, the continuous punches in the gut which come with each new revelation. But the other parents were right. Things do get easier and the new normal becomes …. well… normal. I’m often told that my blog posts make people cry, even now, and I’m always a bit surprised. I don’t intend it to be that way. I rarely cry myself these days. Never say never, of course – this is not a reality I ever expect to embrace wholeheartedly. ERT has become a weekly routine. Even the monthly trips to Manchester are getting better. And it helps of course that we have hope for the future. So now I’ve reached the stage when I sometimes get days when everything comes together and life seems almost perfect. This week I had one of those. In the morning we (me, Pudding, Twiglet, Niece and Nephew) set off for a visit to Nuzzlets organised by our local special needs group. I’d been told about it a while back by portage and knew that Pudding would love it. 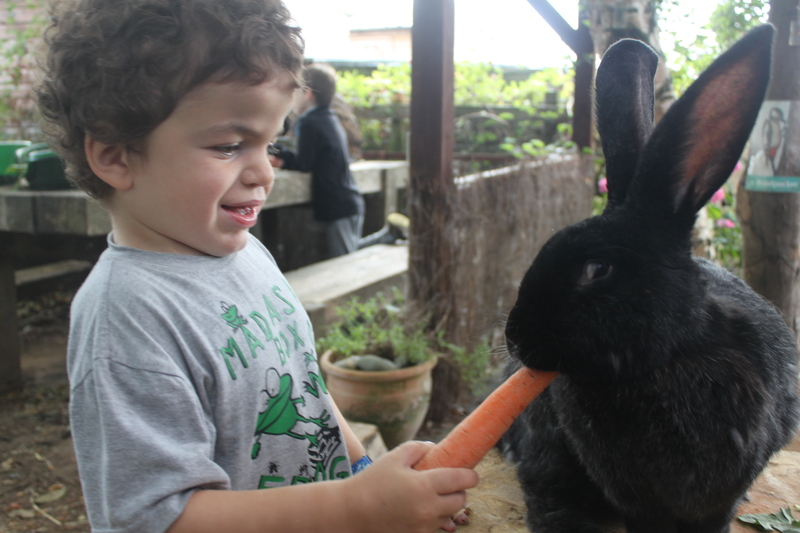 The chance to meet and feed lots of different animals would be ideal for my little snuggle-monster. Almost as soon as we arrived the kids were cuddling and stroking kittens. The smile on Pudding’s face couldn’t have been wider. There was bird seed to put out, apples to collect in a wheelbarrow, hunting for bugs under a log, a field of sheep to walk through. Each activity was done just for a short time and most of the areas were separately fenced off so I knew that the escape artist would not be able to run off. …That in the afternoon we continued our project on the Normans while he had his nap. I used to do projects all the time with the other kids – letters of the alphabet, finding out about different jobs, and so on. But as Pudding got bigger and more of a handful it tailed off. Since diagnosis I’ve hardly done anything like that with them. So it felt strangely elating to be designing our own shields, drawing a Bayeux Tapestry on brown paper packaging from one of the medical deliveries, and recreating the Battle of Hastings using Happyland people. The day was finished off with listening to gorgeous music from Classic FM on my way to my writers’ group in the evening, and receiving a lovely present from a friend. See? You don’t need to cry for me – on days like this life couldn’t be better. Anyone who knows Pudding, knows that he is obsessed by ball. It was one of his earliest words and as soon as he could walk he would stagger up to anyone in the park and demand to play with their ball. Once his balance improved enough to stay upright without falling over every two seconds, he quickly outstripped Twiglet with his football skills. When he was little we used to joke that he would be a professional football player. A while later once we realised that he had some problems we changed to saying that he still would just as long as he could learn the rules. Now? Well ok, I always knew that it wouldn’t happen, but it’s hard facing realities. When he was at the school sessions last month he gravitated to the football area. I watched smiling, knowing that this would be the place he could shine. And I saw the other children quickly changing direction with the ball, tackling and aiming for the goal. Yes, Pudding can still do impressive kicks, but he simply doesn’t have the agility or understanding to play a game well with others. His balance has improved a lot over the last year but he still falls frequently if he tries to run in anything other than a straight line. He knows that someone stands in goal but not what to do there: when it is his turn and a ball comes towards him he often just flinches. This is just one more thing that MPS has been taking from him. Maybe he’ll catch up again and can learn to truly interact. In the meantime, we still love playing endless hours of ball in the garden. Or the park. Or anywhere someone leaves their ball unattended. And hey, with his size and build, and his tendency to pick up the ball and run with it, maybe rugby is the more natural choice after all…? So so tired today, but it was in a VERY good cause. Namely enjoying ourselves all weekend at Drayton Manor theme park. The weekend was organised by the MPS Society so we were surrounded by other member families. 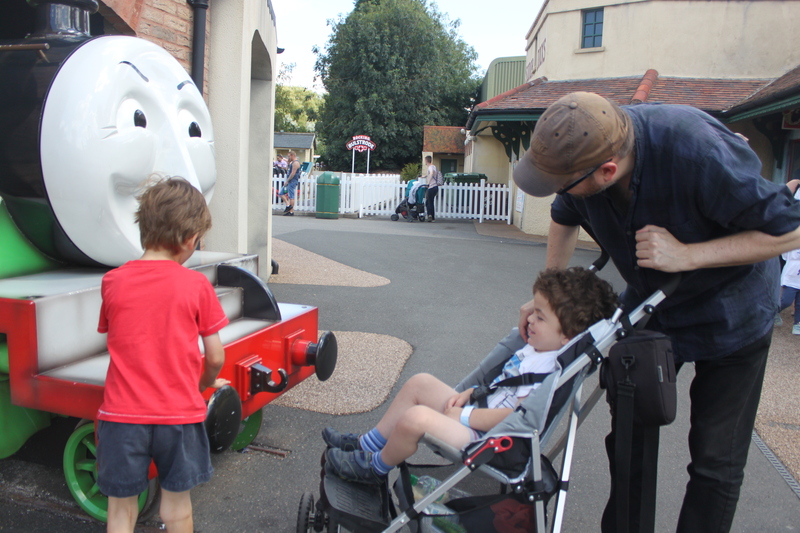 It was of course great fun to try out the rides with the boys and eat too much rubbish for a few days, but when I asked Twiglet to guess what my favourite part was, he astutely said ‘spending lots of time with your friends’. The deal that had been organised was superb value (two nights accommodation and two days pass to the theme park) but the chance to relax and chat with other parents was priceless. No need to let them know how treatment is going, or explain any medical terms. Age, background, education – all irrelevant when faced with the fellow feeling that comes when talking to another MPS parent. On the Friday night, there was entertainment laid on for the children – bubble machine, character meet-and-greets, party games, boxes full of Haribo. Needless to say, they were happy as larry, and as a parent it was great to watch knowing that any typical MPS II behaviour would be understood. Twiglet made firm friends with the brother of another little boy on Pudding’s trial and they leapt all over the dance floor, racing cars and ‘being weird’ together. It’s doubtful that either of them were consciously aware of the bond that being an MPS sibling can bring, but maybe it played a part. Hubby and I each had an evening down in the bar with the other dads and mums respectively, and in my case I can certainly say that gossip and laughter is a wonderful medicine. Though I may need to apologise to anyone whose room was overlooking our table – we may have been a tad loud. Particularly when we all waved enthusiastically at a man looking out of his window thinking it was one of the husbands. The sun shone all weekend and neither the wasps nor the queues were as bad as Legoland. 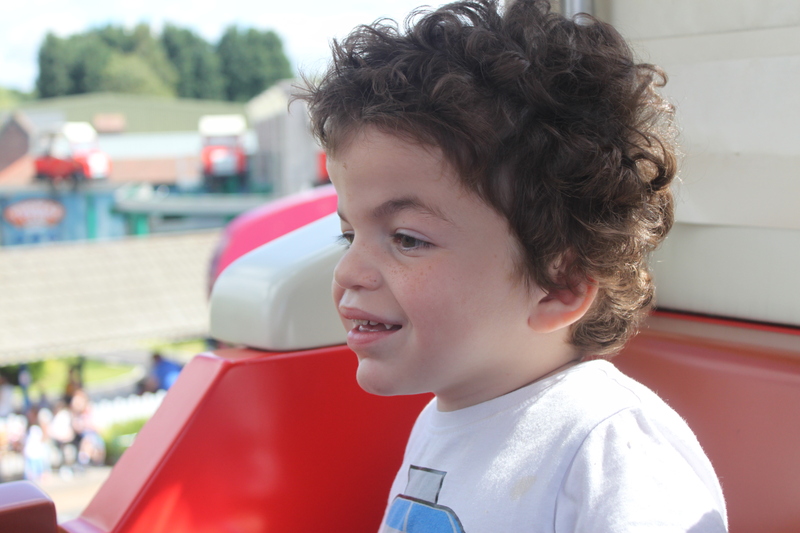 Pudding’s smiles when on some of the simple rides in Thomas Land were a joy to see, and there was another proud moment when he learnt to sign ‘train’. I also very much enjoyed taking Twiglet on some of the more adventurous ones when Pudding was back at the hotel having a nap. Lastly, over the weekend I found out that I have a part in another Shakespeare production. So today life is good. Despite tiredness, despite bickering children and despite scraping the car’s paintwork on our gatepost. Life can be very good! Yay for the summer holidays! A time to relax and kick back, head off to the beach or the hills or the theme park. Or wherever. 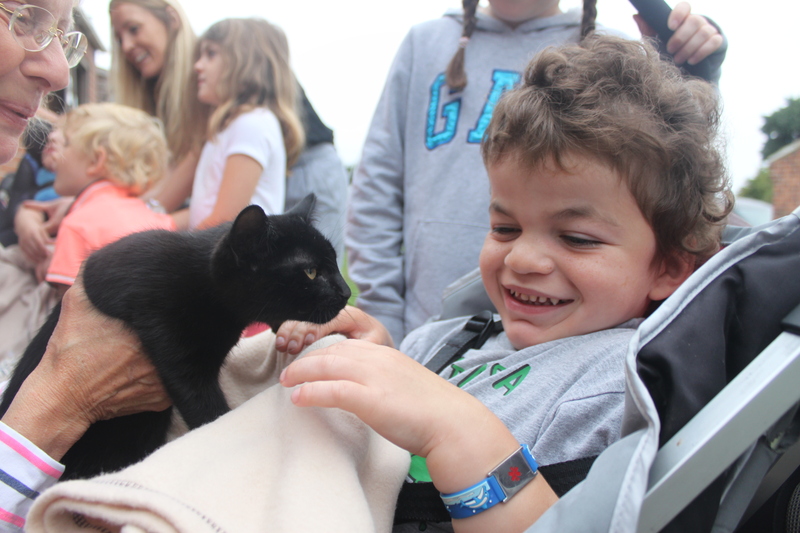 For most parents the day’s outing will be dictated by two simple questions – what will everyone enjoy? and can we afford it? Some families though, aren’t so lucky. Their choices are dictated by the facilities that are available. 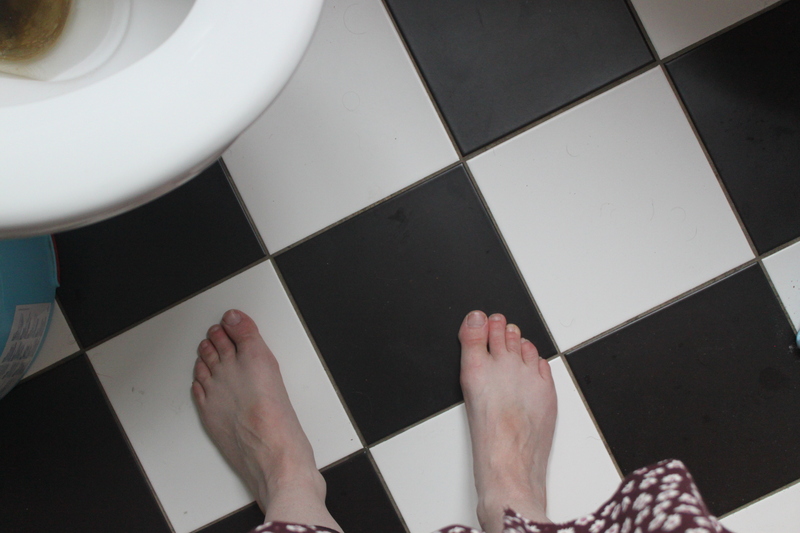 Hence the reason why I’m including a picture of my bare feet on our toilet floor (and remember I am the only female in this household, so let’s just say it is of dubious cleanliness). 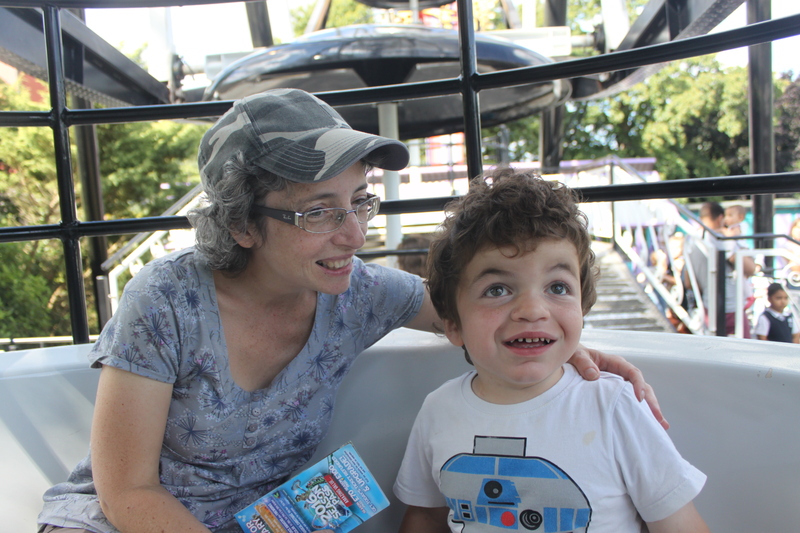 Soon after I started blogging I read quite a bit about a controversy that was raging between those bloggers with disabilities and parent bloggers. It was all fairly heated and I tried to learn from it rather than my natural reaction which was to bridle at someone telling me what I should be doing. One of the key things I took from this argument was the importance of keeping in mind my child’s dignity. This means not covering things that I wouldn’t want others to know if it was myself that was being written about. I’m now going to break that rule. Because this is an important issue affecting many thousands of people, yet is almost universally ignored. Like many with development delay, Pudding still wears nappies and probably will do for quite some time. When we are out and about I usually try to find a secluded corner outside to change him. But this isn’t always possible – in our climate we can’t guarantee a dry patch of ground. And let’s face it, he isn’t a baby any more and he deserves better than other people’s judgemental looks. Before I’ve always blithely thought that the disabled or accessible toilets would be adequate for anyone not able to use the standard toilet. But all over the country – perhaps the world – there are people lying on toilet floors to be changed because they have no other choice. The Changing Places campaign asks for a few standards – a hoist, an adult-sized bench and adequate space. This doesn’t seem too much to ask, does it? Yet so often, even when new leisure facilities are being build, those with additional needs are being left out. Places like this do exist, but they are few and far between. The library in our city centre has one, and there are others nearby, but outside the centre it is 14 miles to the next. 861 suitable Changing Places in the whole country. So next time you’re out on a family outing, have a look around. Would anyone, regardless of their disabilities, be able to visit too? Would we? If that bothers you even the slightest bit, please consider signing this petition or taking the Barefoot Challenge yourself. There are other fantastic people campaigning on this issue too, so if you don’t want to just take my word about this, do visit Ordinary Hopes or Mum on a Mission to name just a couple. Thank you! PS. I did consider calling this blog post ‘Poo!’ as it is one of Puddings clearest words. He signs it beautifully too!